Teaching math and science in a traditional classroom setting can be boring and unstimulating. One way to spice up your math and science lessons is to incorporate cooking into them. 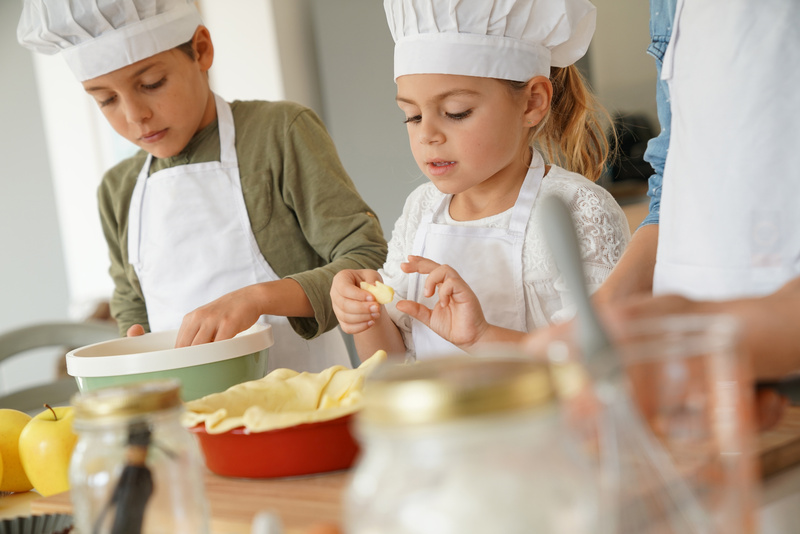 Cooking will not only help your kids become healthy eaters, but they will also learn some of the most essential math and science skills without even knowing! Here are five ways to teach math and science with cooking. Check out homeschool cooking courses like Kids Cook Real Food to help you get going! Ask your child to bring X number of potatoes, Y number of avocados, and Z ounce of milk, and have them sort vegetables and items in different categories at the grocery store. It will be an engaging, motivating way to help them learn how to count and categorize. Have your kid measure and estimate ingredients in numbers and fractions according to the recipe. Measuring ingredients in different measurements will make your child better understand numbers and fractions. Following recipes will also help your kid recognize symbols and language patterns, and increase concentration to follow written instructions. There is no better hands-on experience to learn about solids, liquids and gases than cooking! Start with water, ice cubes, and boiled water and see how it changes from liquid to solid to gas. Eggs are the perfect ingredient to experiment with: boil them and they’re solid, crack and stir them and they’re liquid, put them in a pie and they’re gone. Your child can also explore how mixtures change by mixing, blending, melting and freezing ingredients. Let your child be a scientist in the kitchen and experiment with ingredients and make predictions. Change up the recipe, and see what happens. For example, try using honey instead of sugar or cut ingredients in different sizes to see how those changes affect the food.